Lucky Easter : Modifiers, Instant Wins, Free-Spins & More! Lucky Easter Online Slot: Easter Bunny Brings Basketfull of Win-Boosting Surprises! Lucky Easter by Red Tiger delivers a 20-payline online slot filled with Easter treats and surprises. A Bunny animation appears from time to time to bring on reel enhancements that will likely result to a win-event. A grid may fill with Wild Symbols or high-paying icons; or even with a colossal 3×3 Wild. In some instances, the Bunny may hop into the Easter Basket to reveal a random win-multiplier. The Rabbit animation may even take a player directly to the Easter Egg Bonus Game. As a reel element, the Rabbit image represents a Bonus Symbol. Hitting a winning bonus combination triggers the Easter Egg Bonus Game. The hunt is on, by choosing Rabbits that can advance to the high value cash prizes. A special Free-Spins icon may also set off. Gaining entry to the bonus round, allows Lucky Easter players to collect bet-free payouts. Any of the Rabbit Bonus Features, including the Easter Egg Bonus Game, may still occur in the Free-Spins Round. The Lucky Easter Game Logo is the highest paying regular symbol. A convergence of 2, 3, 4, or 5 Logos, starting from the leftmost reel, correspondingly garners 2, 50, 100 or 200 credits. Chances of hitting winning Logo combinations are high, as the Lucky Easter signage may appear as Stacked Symbols in one or more reels. A Chick in a Purple Egg represents the Wild Symbol. It takes position in any reel or payline; rendering it capable of forming its own winning combination. Three, four or five Wild Chick icons organised as one-of-a-kind contents of a payline, earn 80, 200 or 400 credits, respectively. At the same time, any Wild completing a combination of other identical images in other paylines, will also garner rewards. Multiple appearances of Chick Wilds are more than likely. The Easter Bunny's random bonus features include Wild additions, either by way of single-cell Wilds or a colossal 3×3 Mega Wild Chick. Wild Chicks Bonus – Purple Easter Eggs coming from above will rain down on the grid. Once the Egg icons take on reel positions, they will hatch as Wild Chicks. Mega Wild Chick – The Rabbit beckons his little Egg Minions to bring in a Mega Wild Chick that completely covers 3 rows of 3 consecutive reels. Easter Reels – In this random feature, the Bunny will be calling all high-paying symbols to come forward and populate the reels. That way, the forthcoming outcome of a spin will have increased chances of hitting high-pay wins. 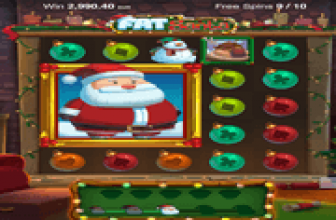 Basket Multiplier – The Basket of Eggs located on the far right of the screen contains Multipliers of up to 20x. Once the Rabbit hops into the basket, it will choose a random multiplier to place in any reel. 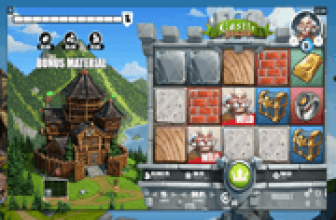 The multiplier applies If a winning combination includes a symbol positioned in that particular column. Easter Egg Hunt Bonus Symbols – This is another event in which the Bunny calls on his Egg Minions. This time, to bring in 3 Easter Egg Hunt Bonus Symbols that will instantly set off the related bonus game. Another way of activating the Egg Hunt Bonus Game is by landing on 3 of the Bunny's Easter Egg Bonus icon. Players will then choose holes that will reveal Rabbits in numbered shirts. The numeral displayed determines the number of steps by which players advance along a trail filled with Total Bet Multipliers. If a player makes it to every major trail destination, he or she can win 100x, 200, 300x, 400x, or the ultimate 800x Multiplier. Choosing a Rabbit that comes with a Collect prompt though will end the bonus game. Nonetheless, the game will award a bonus prize based on the last Total Bet Multiplier reached by a player. When three (3) Free-Spins Egg Symbols land on any spot after a single paid spin, a round of free games activates. The bonus round commences with a display of three (3) Golden Eggs. Picking one will reveal the number of free-spins won. Any winnings garnered from those spins will be treated as additional pays of the feature-triggering paid spin. All reel modifiers or enhancements awarded at random by the Lucky Easter Bunny during paid spins, may still come around during bonus bouts. The bonus round extends if a spin produces another set of 3 Free-Spins Symbols. The round extension likewise commences with the Golden Egg Pick segment. Lucky Easter : Playful Easter Bunny Enhances Base and Bonus Grids w/ Rewarding Surprises! 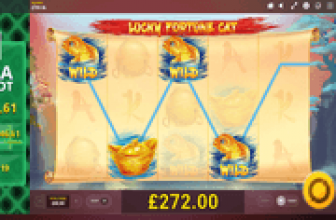 Lucky Easter online slot features an Easter Bunny that emerges arbitrarily to enhance base and bonus game grids with Wilds; including a Mega 3x3 Wild icon. The playful rabbit may also bring out a Win-Multiplier or add 3 Bonus Symbols; enabling players to directly access the Easter Egg Bonus Game that awards instant cash prizes.